The Primary Wing of D A V Public School, SEC-49 celebrated the English Language by organising an English month in December wherein many literary competitions were held and English-related activities were organised. It was a month of flurry and excitement, with the children being fruitfully engaged in various tasks related to the English language. 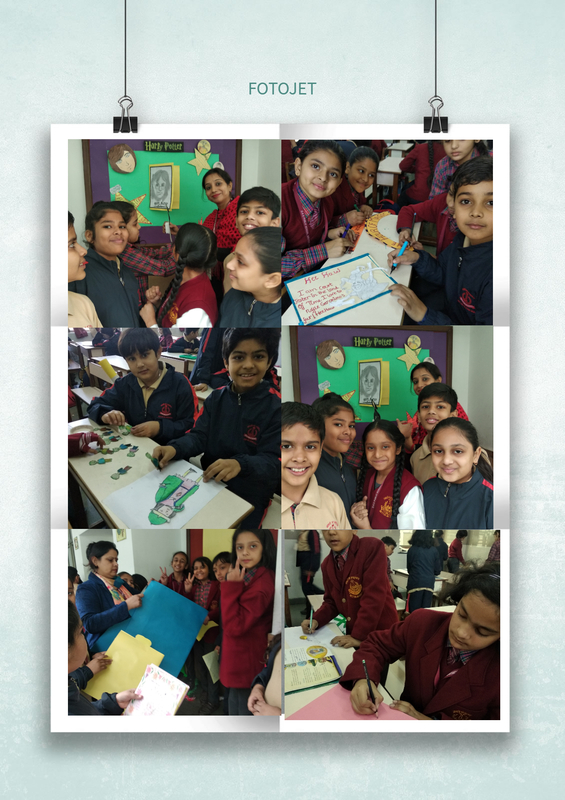 The students of Class 3, 4 and 5 kicked off the English Month celebrations by participating in the Board Activity on 14 December. Each section of class 3 decorated their board with the pictorial depiction of a poem. The boards came to life with poems about trees, animals, outer space, flowers etc. The students of class 4 conceptualised and designed a book cover of their favourite book from scratch. It was a mass activity which brought the imagination, artistry and the designing skills of the children to the forte. All the book covers were thoughtfully designed and beautifully made. They were not only exquisite to look at but also highly informative. The students of class 5 depicted stories through pictures. As the characters of famous novels came to life on the boards the corridor became an exhibit of literary masterpieces. Each board told a different story in an unique way! The Board Activity was followed by the JAM( Just A Minute) competition. It was an extempore competition in which the children exhibited their talent and beautifully expressed their views on myriad topics ranging from food habits to the games we play, from friendship to values and virtues, from practical issues to imaginary situations. The competition which went on for almost two hours kept the audience as well as the judges enthralled. The young talent that was showcased was indeed impressive. The judges were pleased to hear the young speakers express their views with clarity, conviction and confidence. Two participants from each grade were chosen as winners – Kabir (III D), Supash (III E), Anshika (IV D), Kapish (IV E), Ishita (V D) and Niharika (V E). 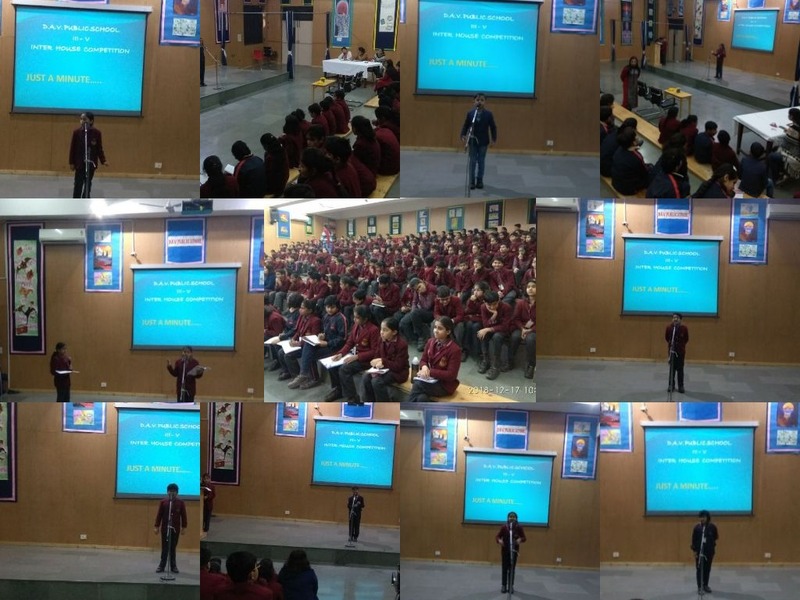 The hugely popular Spell Bee competition which is looked forward to by the students every year was held on 17 December. It was a mass competition in which all the students of classes 3 to 5 attempted various vocabulary based questions. The students who scored the highest in Round 1 of the competition were chosen for the second round. The winners were chosen on the basis of their performance in the second round. Aaliya (V E), Shwetank (IV A) and Lavanya (III A) won the First Prize, Niharika (V E), Somya (IV C) and Sanskriti of III C won the Second Prize, Tanay (V E), Shivansh (IV C) and Aditri of III E won the Third Prize. It has been truly said that “Dance is the hidden language of the soul”. It is an expression of beauty and love that touches our heart. 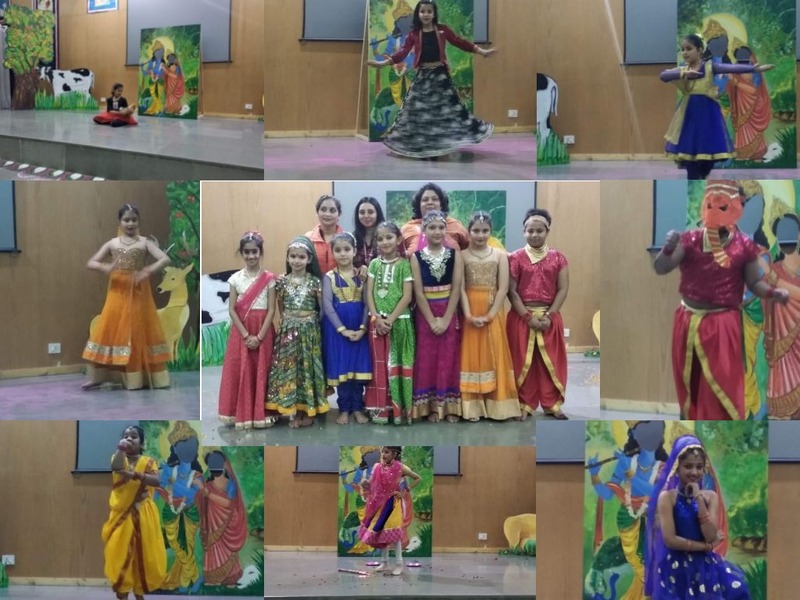 To celebrate this beautiful form of performing art a solo dance competition was organised on 3rd December 2018. It was an inter-house competition in which the students from class III to V performed various folk dances. The vivacious dancers set the floor on fire with their energetic performances. The fun filled extravaganza offered folk dance forms of Rajasthan, Punjab, Jammu, Karnataka, Tamil Nadu and Gujarat. The spectators bore witness to the enthusiasm and energy of the young dancers as they enthralled everyone with their graceful moves, colourful costumes, facial expressions and stage presence. The judges had a tough time selecting the winners. It was such a closely contested competition that each position/prize was shared by two winners! Kriti of 4D and Ojasva of VA won the First Prize, Ahana of 4C and Rishika of VA won the Second Prize and Lavanya of III A and Harshita of VC won the Third Prize respectively.